There are many theories to the origins of the cheeseburger dating back to almost a century ago. A 16 year old Lionel Sternberger is said to have invented the cheeseburger in 1926 when he was working as a fry cook at his father’s sandwich shop, and experimentally dropped a slab of American cheese on a sizzling hamburger. When is it National Cheeseburger Day 2018? America’s favorite sandwich is honored every year on Sept. 18 with a melted slice of cheese. Easy to remember, so you can spend more time enjoying delicious cheeseburgers! Pick one of the many cheeseburger recipes online, go to your local deli or grocery store to buy the ingredients, and handle business. Most importantly, make that cheeseburger with love and cheesy goodness! Yes, we said it. Give a cheeseburger to a loved-one, friend, or a complete stranger you pass on the street. Together we’ll make the world a better place, one burger at a time. You’ll be amazed at the various locations you’ll find nearby. Walk-in and enjoy a finely crafted cheeseburger or double-double at your fingertips. 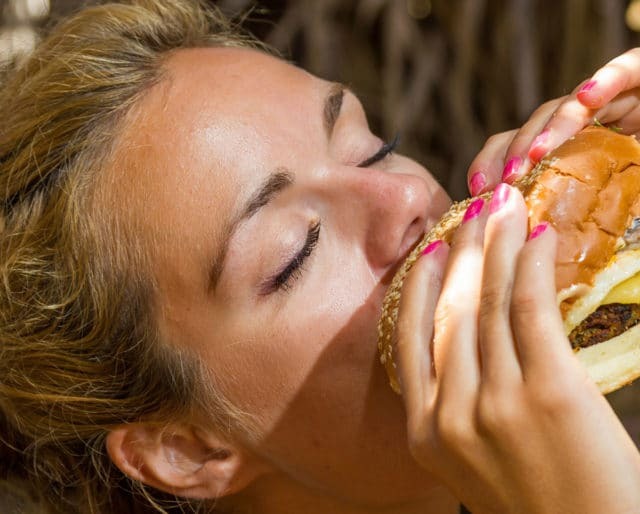 In fact, there are plenty of amazing National Cheeseburger Day deals across major fast food chains. Looking to have your mind blown? The combination of meat, cheese, vegetables, seasonings and sauces will melt your tastebuds every time. Yes please. Sometimes, when we go out to eat, we don’t like want to be challenged. We crave the taste of the familiar and nothing's more familiar, at least to Americans, than the taste of a good ol’ cheeseburger. While some people love sitting down and taking their time to enjoy a great hoagie, some just simply have a fast-paced lifestyle. For those people always on the go, a cheeseburger is always a great idea.